Home CCTV Law - What is the law on CCTV in the home? 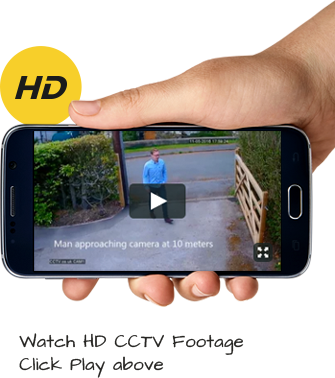 There are clear advantages to installing CCTV on your property. But it is important to know home CCTV law. First and foremost it acts as a deterrent to would-be thieves and criminals and sometimes, more importantly, gives you peace of mind to know that, should anything happen to your home, you will have evidence that will help to reveal answers. It also helps to make many people feel safer. However, when it comes to CCTV, especially in the home, there are a few legal implications that you will have to bear in mind. There is that fact that you could be filming people walking past your home, which some would say is an infringement on human rights. So where do you stand? Under the Data Protection legislation (Data Protection Act 1998) CCTV installations within domestic premises do not require to be registered with the Information Commissioner, which was once classed as the Data Protection Registrar. Despite this, it is still advised under the Human Rights Act legislation that you make every effort to ensure that ‘collateral intrusion’ of nearby premises or public areas are kept at a minimum. With this in mind, you may have to think carefully about where you place the cameras.